That’s way too much! Photographers use 217 different online tools to run their business. On November 21st, 2016 we announced the impending launch of our Alpha phase. Since the announcement, we received an abundance of positive feedback and have continued to build our product day and night. Honestly, it is exciting to see it finally come together, especially mobile integration (which will allow you to chat with potential clients who are visiting your website on-the-go). When we announced our alpha program we were expecting 50 applications, and to our surprise, your overwhelming interest resulted in 310 applications! We are encouraged to know that our solution is in demand for photographers who are eager to optimize their business. These answers were so interesting, that we simply couldn’t resist, and decided to share the results with you. While part-time photographers would certainly benefit from using Picr, we believe that full-time photographers will especially appreciate Picr because of how we organize your client management/project workflow tools. 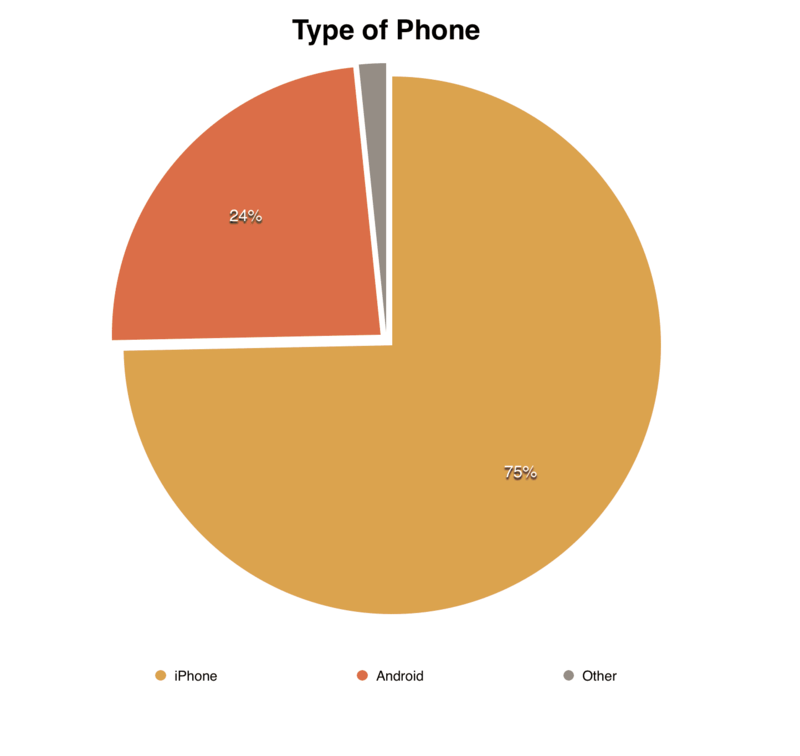 By complete coincidence, 75% of you use iPhones and 75% of your are full-time photographers. Even though the figures are identical, full-time photographers did not all correlate to the iPhone users. 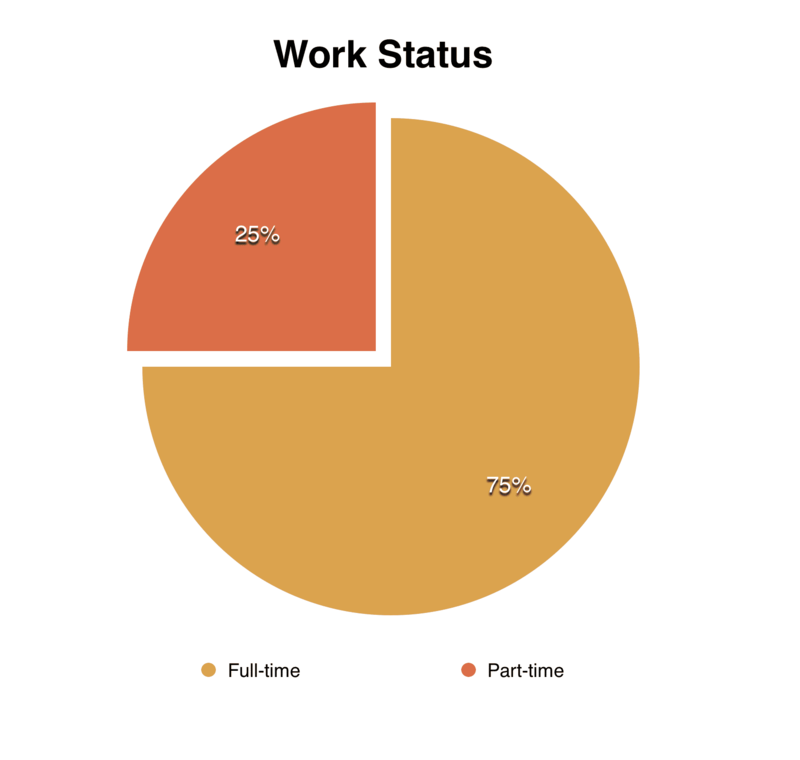 Sorry, but buying an iPhone probably won’t guarantee you full-time work. 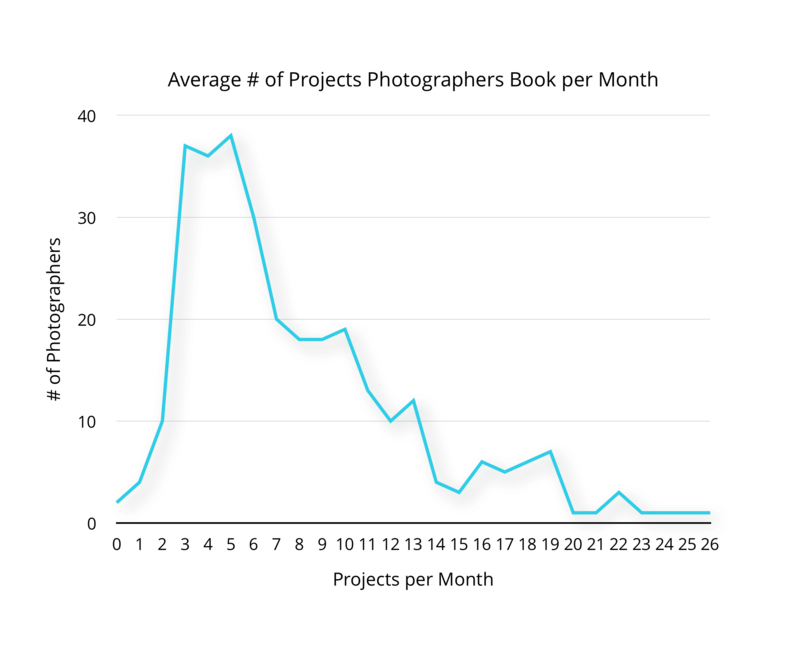 It was a little surprising to see that many of you book only 3-6 projects per month. Unless they are weddings, this is a tight budget to live on. We trust that with our remarketing tools you could see those numbers grow to at least 10 bookings per month. This chart is also interesting. 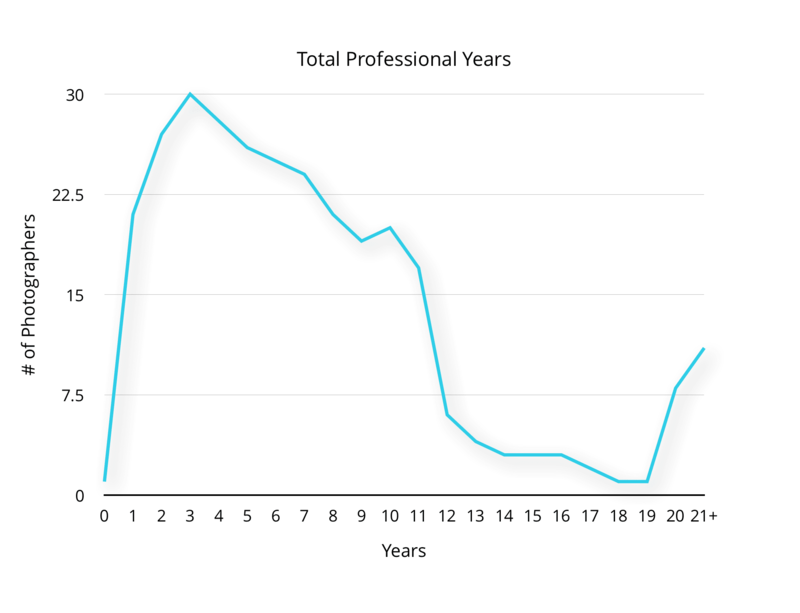 Many photographers seem to drop off after 10 years in the photography profession, but if you made it through the next decade (10-20 years), then you’re likely to stick around. But honestly, after 20 years, you either figured out how to run your business, or it’s simply too late to do anything else. Running a photography business requires a plethora of tools. 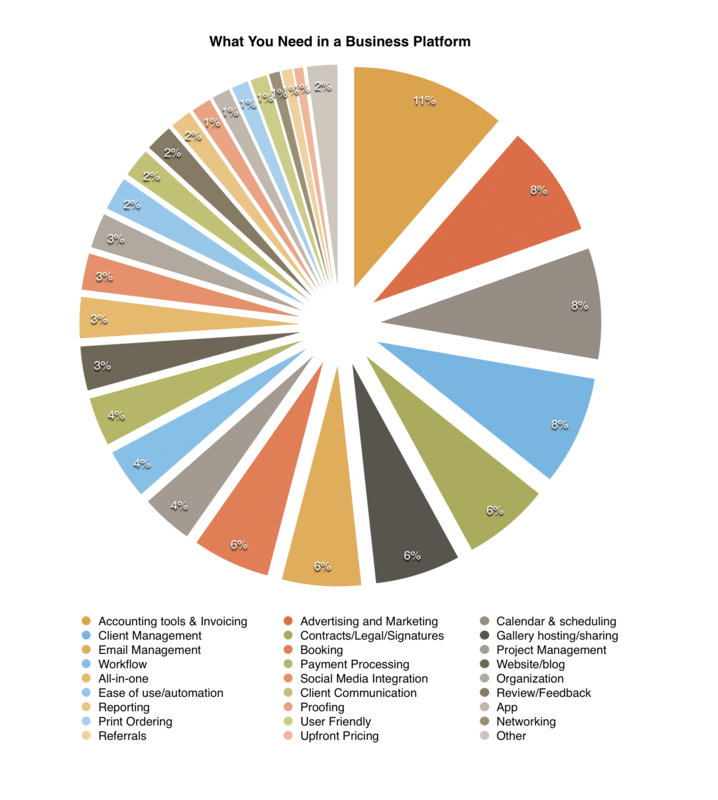 But most of your answers focused on 1) accounting/invoicing, 2) marketing, and 3) scheduling/client management. This is encouraging because, when building Picr, we focused on ensuring a clear path from gathering leads and sending quotes, to booking projects and managing your workflow. 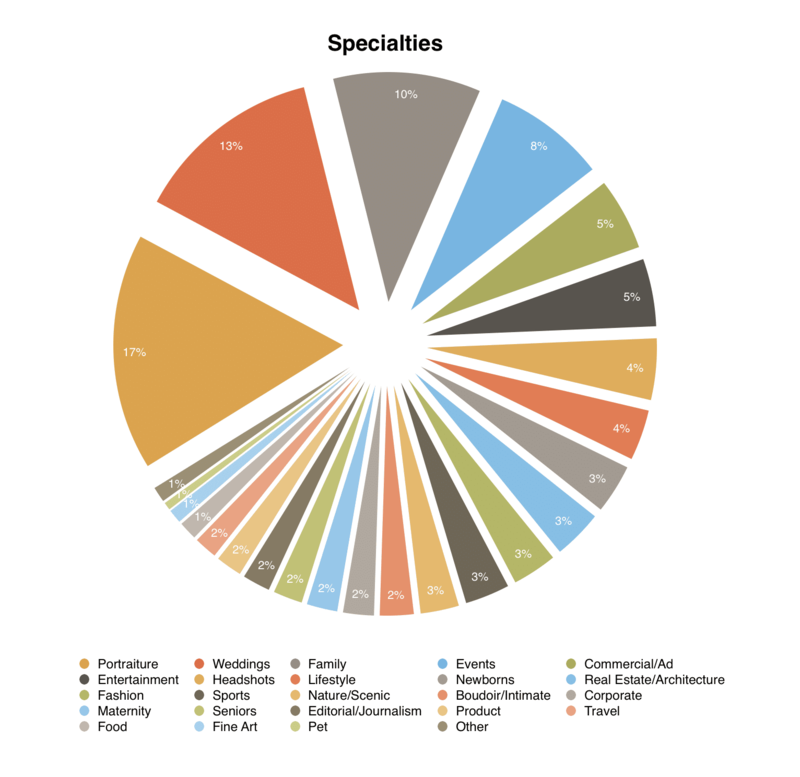 The specialties graph was perhaps the least surprising. As expected, portraiture and wedding photography typically are the largest segments in the industry. Finally, this was the most interesting chart. The tools you use to manage your business are far more diversified than we could have possibly imagined. We counted 217 different tools from our 310 applications! WordPress is the obvious lead, but from our conversations with many of you, this isn’t because you love WordPress, but more out of necessity. What is clear, is that no one has won the hearts and trust of photographers. Most photographers seem to be scrambling and testing an insanely wide range of online tools, most of which were designed for a different industry. Perhaps photography, as an industry, isn’t large enough to incentivize big investments into robust toolsets. Perhaps generic tools have been satisfactory the first several decades of the internet age. Whatever the reason, our world is quickly changing and we believe that it is time for a photography platform to emerge which will win the hearts of all photographers by offering them the best modern tools they need to manage and grow their businesses to new horizons. What do you think? Did we miss anything from our observations? When is it the right time to jump into to Picr?